A pedestrian was fatally struck by car in NYC last night . According to the NY Daily News The 53-year-old man was crossing East Tremont Ave at the intersection of Saint Peters Ave when a SUV hit him. The pedestrian died at the scene of the accident. The driver wasn’t charged. The accident occurred at night around 9:30 pm. 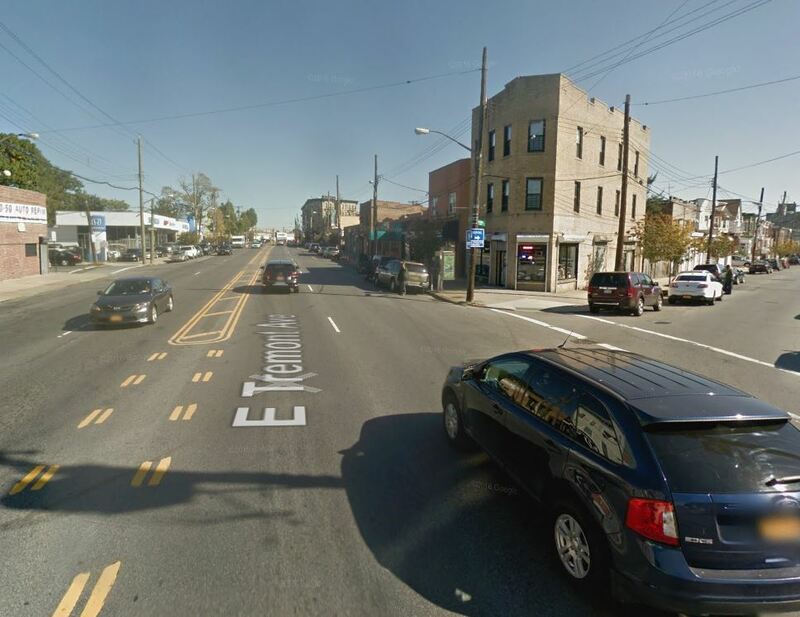 East Tremont has been identified by the Vision Zero initiative as a dangerous corridor. Speeding is frequent and pedestrians crossings are too few on this 4 lane avenue. The DOT presented a plan to redesign Est Tremont Ave to the community Board 9 in April 2016. However this plan covers only a part of East Tremont Avenue and not the area where the pedestrian was fatally struck yesterday night.